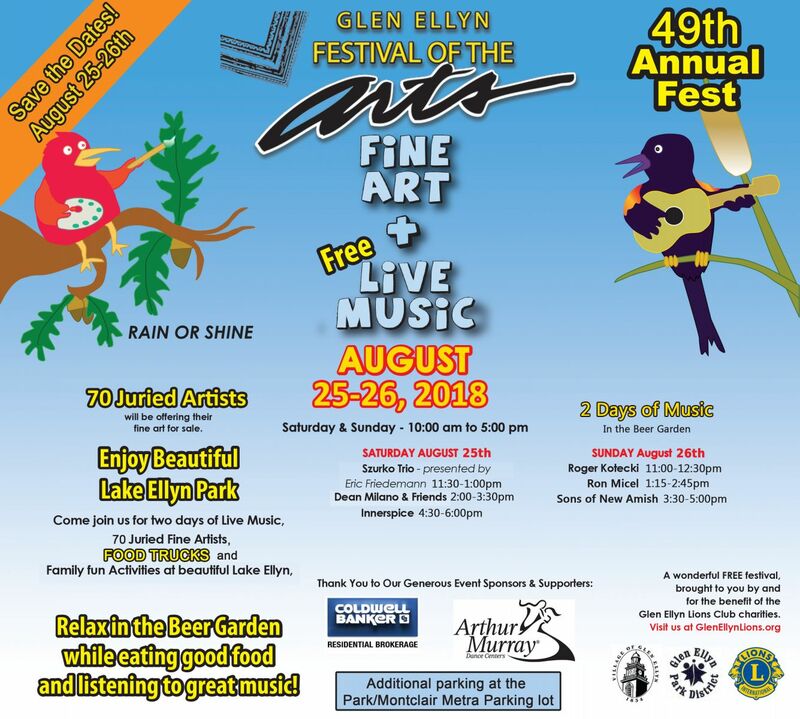 This a juried fine arts show with 70 Artists held in the Chicago Western suburb of Glen Ellyn. Applications are accepted online through Zapplication. Click here to go to our event page. Zapplication is a easy way to apply for multple shows and is free for artists to join. Visit our Facebook Page for up to date information on artists and performances. Sponsorship opportunities are available at a variety of levels. Click here to download a 2018 sponsorship application! Volunteer at the festival! We have multiple opportunities for volunteers throughout the weekend! Contact our volunteer coordinator Jack Cavanagh HERE or check out our Facebook Page for a volunteer link where you can sign up online!